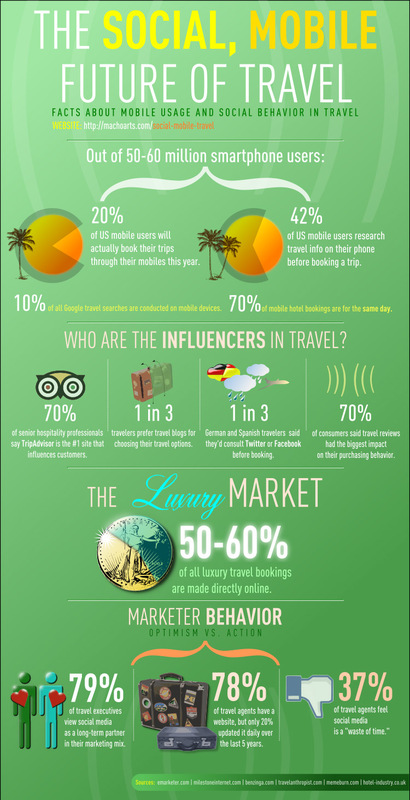 Travel brands will have to rely more on mobile and digital marketing than on traditional marketing programs according to this infographic. Our always connected society means that travelers are relying more on mobile and social networks to make their travel decisions. This means that travel and destination brands not well positioned to take advantage of these trends will suffer in visibility, tourist visitation, and online branding. A previous post shows how socially connected tourism brands are gaining the lion’s share of online audiences (Lessons From the Top Tourism Agencies on Twitter). How is your destination brand leveraging mobile and social media to increase tourist attraction?